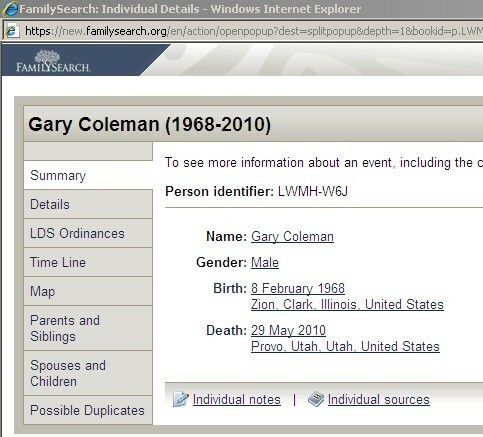 I'm not sure why the vagaries of the LDS Church's genealogical database continue to fascinate those of us who are not in the LDS Church's IT department, but I can never resist Helen Radkey's updates ---on famous personages whose names somehow end up slated for posthumous baptism and/or marriage. I think it's because I've got a little crush on Helen. She truly is a remarkable woman, and a colorful character on Utah's Landscape of the Unusual. That being said, I sometimes wonder if these reports really merit the kind of Sturm und Drang with which they're normally accompanied in the media. 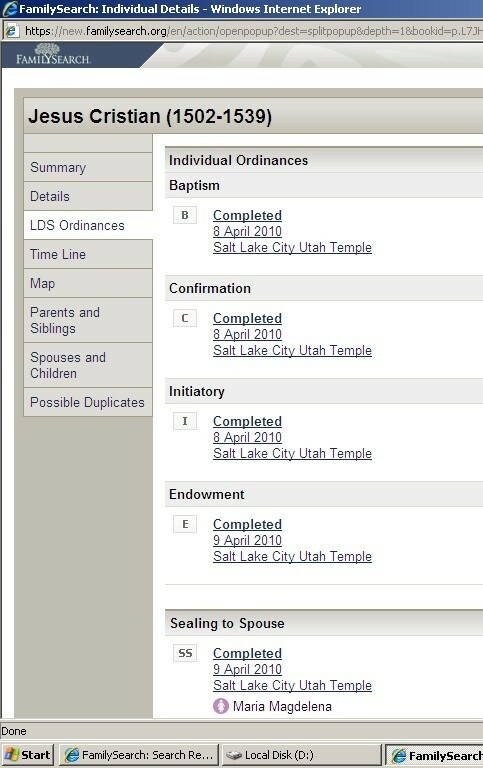 I asked Radkey if the mere presence of a name in the New FamilySearch database indicates that an actual ordinance was performed in the LDS Temple -- and, if it does, why should we care? 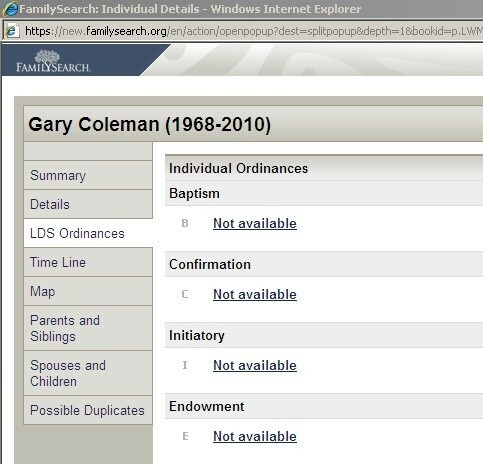 Radkey Update -- June 1, 2010: "Jesus Christ was baptized and 'sealed' to Mary Magdalene in the Salt Lake (Mormon) Temple"
The LDS Church tries to prevent frivolous and/or fraudulent entries from being entered into the New FamilySearch database system. Radkey says the person who entered the names into the New FamilySearch database may have intentionally misspelled names in order to bypass automated system safeguards. ... Note the LDS ordinances have a block on them.